I knew it the moment the white van pulled up to our house. My heart sank a little bit when I saw the logo. On Saturday, they came and installed the electric meter. There will be no more free electricity for us. Seattle City Light takes about three weeks to install a new meter. In the meantime, you have unfettered access thanks to a couple of temporary bus bars inside the meter box. It’s a bittersweet milestone: On one hand, they’ll start billing me a whopping $5/mo for the lights and power tools the subs are using. On the other hand, we have our very own brand spanking new power meter in a shiny glass globe–one step closer to having a completed home! 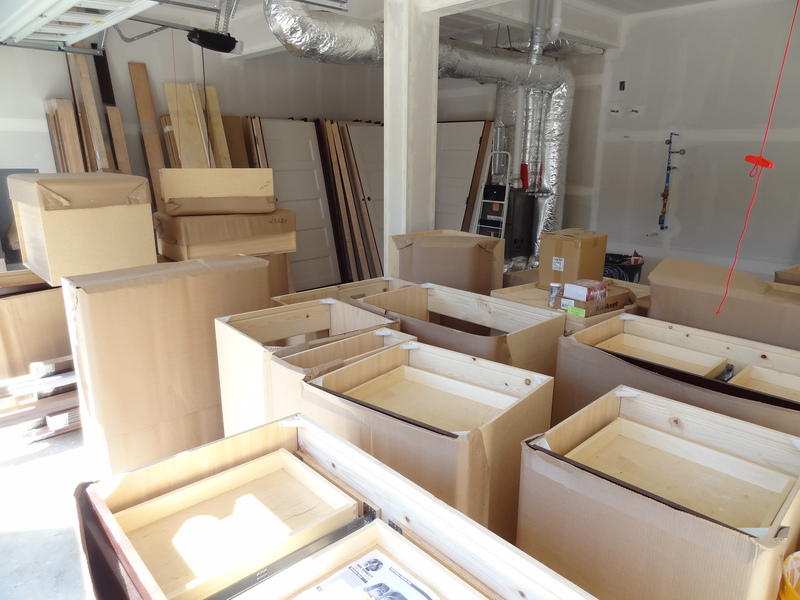 In other news, all of the millwork (cabinets, trim, doors) has arrived on-site. 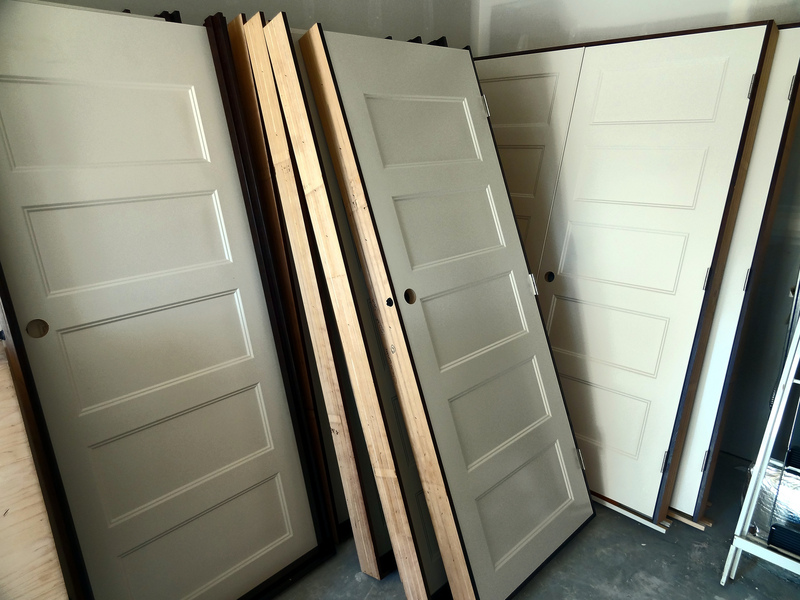 In a previous post, I mentioned fighting the urge to second-guess our interior door choices. Now that the doors are on site, I know I was right to trust our prior decision. We picked a beautiful cream white colored five-panel door style that fits our “craftsmod” theme quite nicely. The interior color will be Sherwin Williams Agreeable Gray, a nice warm tone that will go extremely well with the dark trim and light doors. The painters should be in tomorrow to do the job. After that, my wife will go in and paint the kids’ rooms some fantastic color scheme. This is going to be a big week for interior progress. Stay tuned for more updates. This entry was posted in Construction and tagged cabinets, doors, electrical, paint, trim. Bookmark the permalink. Congrats on the meter! You’re now one step closer to moving in. And the doors and cabinets bring you even closer. It’s nice to see the light at the end of the tunnel.